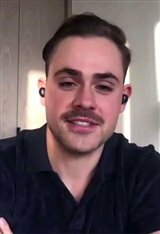 Dacre Montgomery (pronounced Day-ker) was born and raised in Perth, Western Australia. He is the son of a Canadian mother, and a New Zealander father. Both of Dacre's parents worked in Australia’s entertainment industry, and it was only a matter of time before the time he spent as a little boy on various movie sets inspired Dacre’s to follow in their footsteps. He was so dedicated to his passion that he enrolled in many theater programs, and even attended acting workshops at Western Australian Academy of Performing Arts (WAAPA). He would later become a student at the esteemed academy, in the Bachelor Performing Arts program. Interestingly enough, the Academy boasts another famous Aussie alumni, none other than Hugh Jackman (whom Dacre says is an idol). His first acting job came when he was cast as Fred in the short film Bertrand the Terrible (2010). Dacre also played Will in the pilot episode of TV series The Family Tree in 2011. It wasn’t until 2015 that his big break would come. While in the middle of a performance during his third year of school, Dacre received a fateful call from his manager, asking if he could be on a plane to Los Angeles the next day. The trip that followed would change his life — the casting director for the Power Rangers (2017) reboot wanted him! Dacre met with the director the very next day, and the rest was history. He was cast as Jason Scott, a.k.a the Red Ranger, and the team’s unofficial leader. Even though he already has a Hollywood blockbuster under his belt, Dacre doesn’t take his role lightly. “Growing up, I was into Power Rangers. I was into Batman. I was into Spider-Man. It was more about this journey into manhood, and looking up to these kinds of characters, like vigilantes who sort of look after people. All the people look up to these [characters], so it’s a big responsibility for me,” he said during a press conference at the 2016 San Diego Comic-Con. In addition to Power Rangers , Dacre has another film releasing in March 2017: A Few Less Men. Dacre’s career is certainly gaining momentum. After Power Rangers premieres on March 24, he will next be seen playing Billy in the much-anticipated second season of the hit Netflix series, Stranger Things.